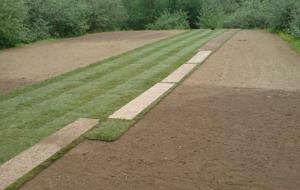 This is one of our most popular services – we offer a personal ‘S & L’ service to people who do not either have the time or inclination to enhance their gardens. 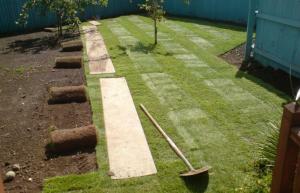 Whether your lawn needs just a makeover or a complete revamp – we are the people to fulfill your requirements. Firstly, we will visit your premises to assess your requirements – this is a free of charge service. Our consultant will then measure up, give any necessary advice and can then be in a position to give a quotation. Upon your agreement of the ‘S & L’ being undertaken, we will then liaise with you for a convenient time to commence – weather permitting. You are under no pressure or obligation to accept this service and might only take on board the advice given – you might just want to receive the turf and do the job yourself! Either way we are happy to help.